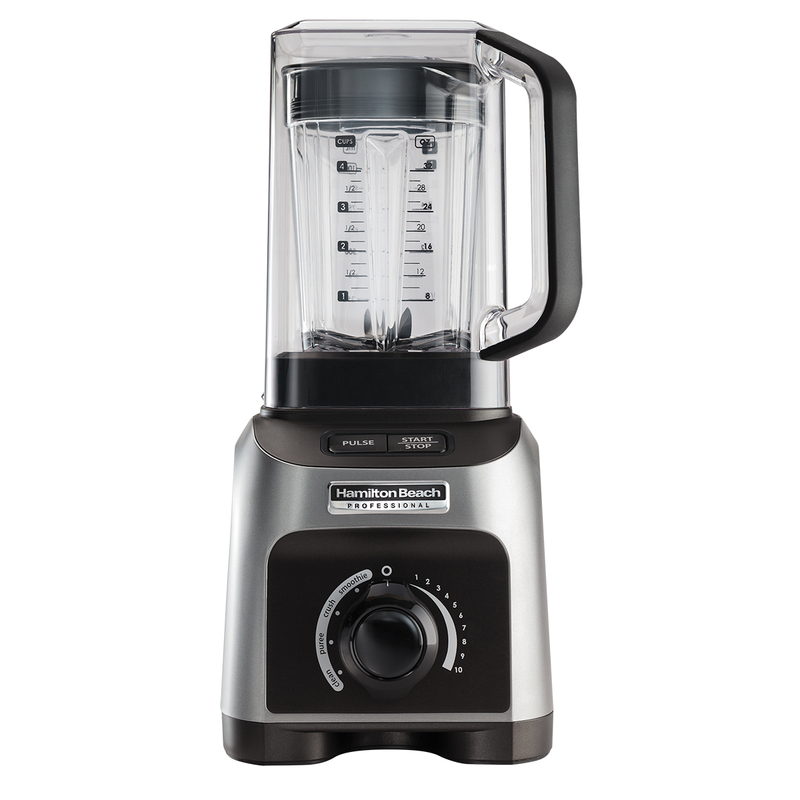 Increase your blending power while reducing noise with the Hamilton Beach Professional Quiet Blender. The 2.0 peak horsepower motor powers stainless steel blades to speeds over 105 mph to blast through ice, frozen fruit, and other tough ingredients in just seconds. 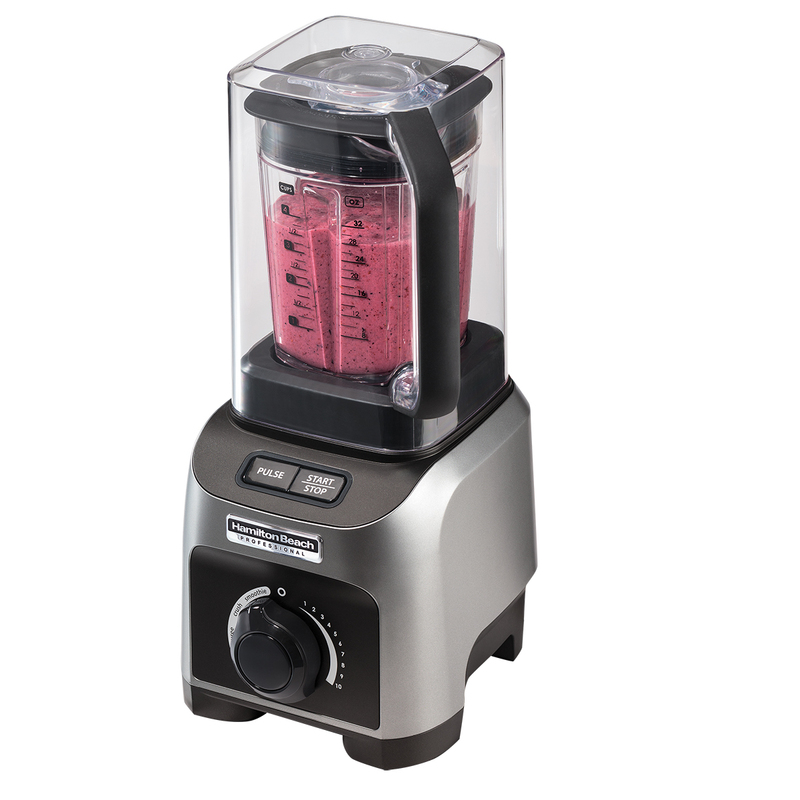 With rubber-mounted components, a motor designed with optimal airflow and a removable shield, this blender is significantly quieter than leading competitors. The quiet shield can also be used as a serving pitcher. Effortlessly create perfectly blended smoothies, juice whole fruits and vegetables, puree hot soups, emulsify dressings and grind spreads. With a variable speed dial, you control the blending to achieve restaurant-quality results every time. 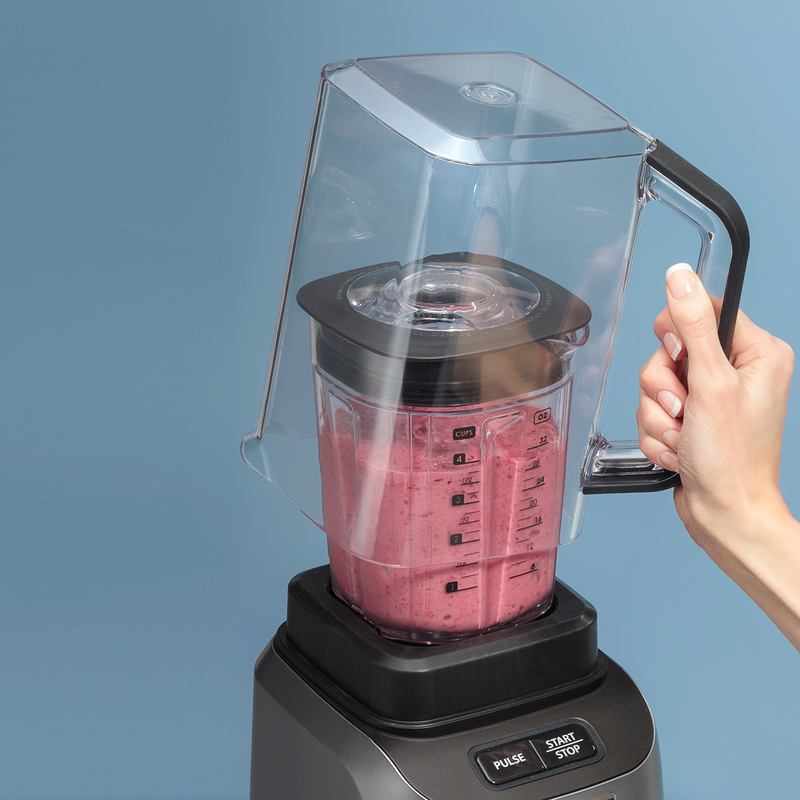 Or choose pre-programmed smoothie, ice crush or puree settings for one-touch convenience. 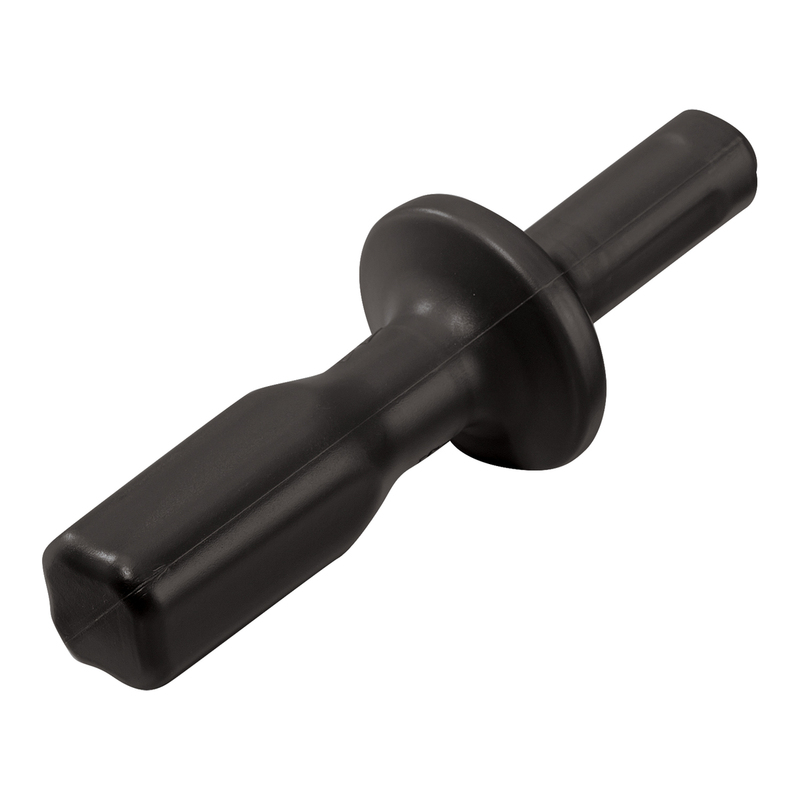 A tamper is included to help blend thick or frozen mixtures. The clean setting makes washing your jar a breeze, and all parts are dishwasher safe. Keep your conversation going regardless of what you’re blending. 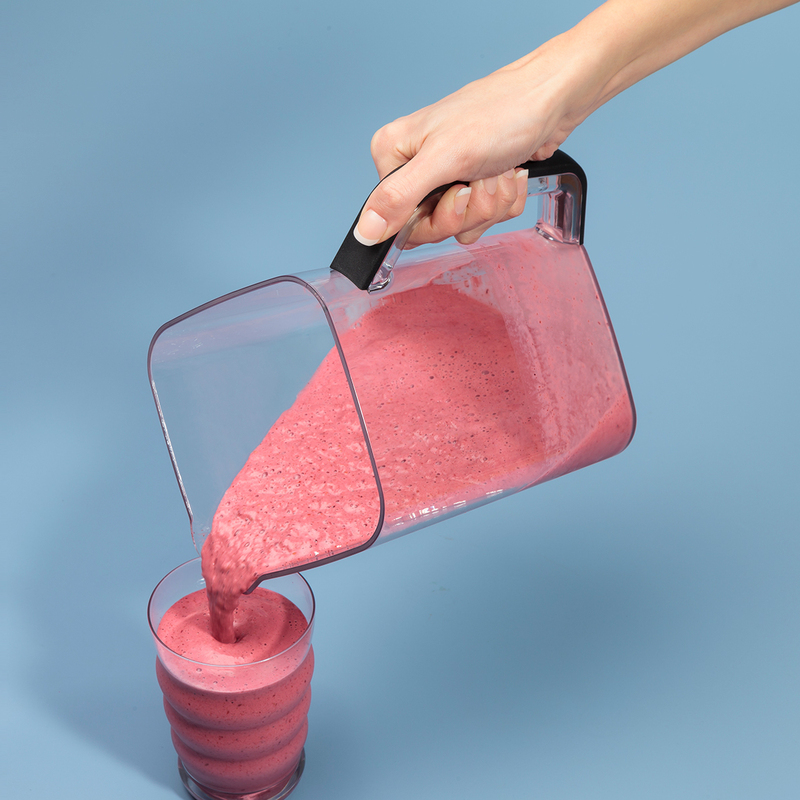 The quiet shield reduces the amount of noise from your blender when placed over the jar, plus it doubles as a serving pitcher. It’s also perfect for carrying ice from the freezer to the blender. Airflow around the motor and rubber-mounted components also helps to dampen noise during blending. 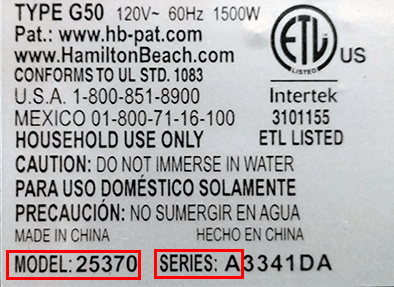 Get the power the pros have - with a commanding 1500 watts of power and a 2.0 peak horsepower motor, the Hamilton Beach Professional Quiet Blender delivers the performance you need for restaurant-quality results. Hardened stainless-steel blades rotate 105 mph to power through ice and tough ingredients in seconds. Add warm water, dish detergent to blender jar and use the pre-programmed clean setting for a quick clean. The blender jar, lid and tamper are all dishwasher safe as well.